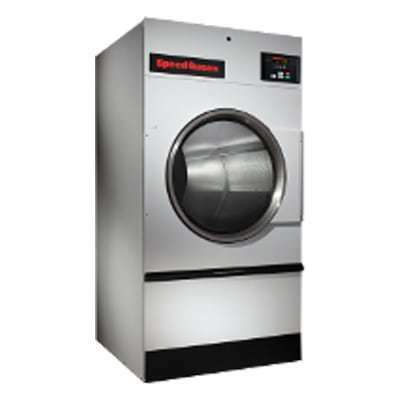 Our single pocket tumble dryers are designed with fewer moving parts, so that you’ll face fewer maintenance problems and less wear and tear. We make it even easier with a large, easy-to-clean lint compartment and a heavy-duty door hinge designed to withstand heavy usage. Available in 25, 30, 35, 50, 55, 75, 120, 170 and 200 lb capacities.